Storage Products for all your Agricultural Needs. The urban range has been designed with the modern family in mind. Storage Products for all your Industrial/Mining needs. The ISO 9001:2008 certification is based on quality management systems operated by the company in the areas of design, manufacture and delivery of polyethylene storage tank products. This certification is internationally recognised and gives the added assurance to our clients that the company is performing to the highest standards. Most helpfull service.Truly great delivery guy.I now have 2 ranks overflowing. Rex & Neale were very helpful in the delivery process and Rex did a great job getting the tank into position. I am happy with the tanks and service provided. Darren the driver got the job done well. Thanks. Ordering and delivery have always been made very easy and never an issue with the quality of the product being delivered. Darren did a great job delivering my tank in such terrible weather, he is certainly good value for money. Arrived on time. Delivery person was very thorough in making sure everything was there and helped move it into place. 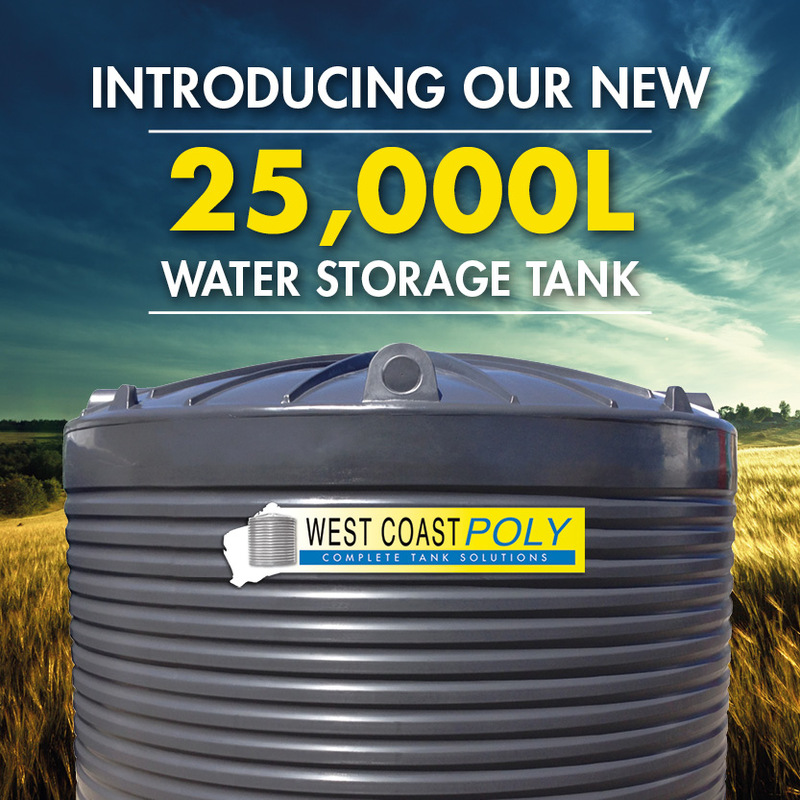 Living in the South West I ordered the tank locally and it was delivered by staff at West Coast Poly... read moreLiving in the South West I ordered the tank locally and it was delivered by staff at West Coast Poly (Jamie). The communication re when the truck would arrive was excellent. We have a steeply sloping block downwards, whicg meant the truck could not reverse down to the exact location or use the Hiab. The skill displayed by the driver in unloading and placement of the large tank was truly appreciated. We are very happy with the tank and the driver Dale who delivered the 23,000 litre tank.